MADISON, Wis. – The Bubbler at Madison’s Central Library is hosting an artist in residence who is using art to explore our emotions and how we cope with trauma. Illustrator and animator Rodney Lambright II’s [BS-Art ’17] “Unwanted Sympathy” exhibition examines how animation and different forms of art can help a person dive into what they’re feeling. 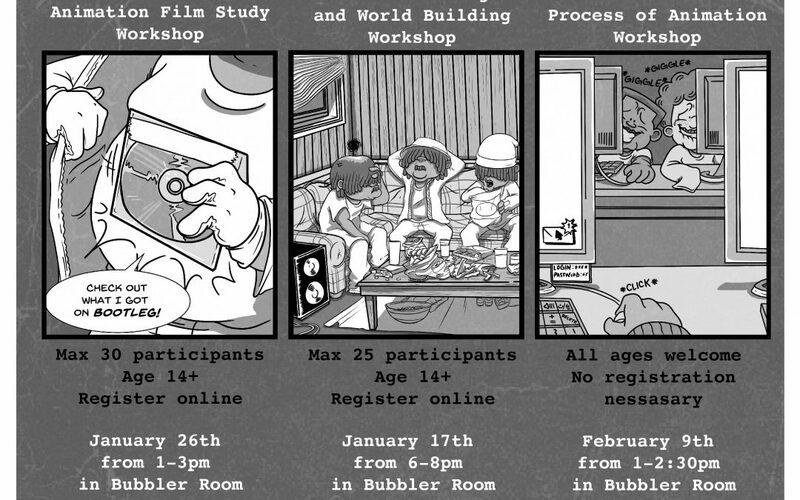 Lambright II is hosting a workshop at The Bubbler on Saturday, February 9th for people of all ages who want to learn more about expressing themselves through animation.